Travelling to the North Pole: who goes there and how? 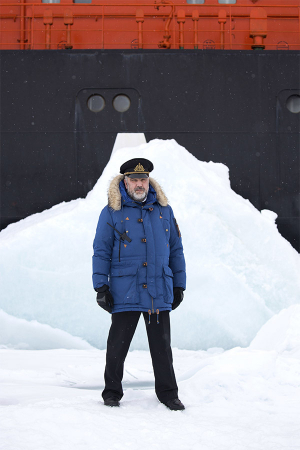 For nine months of the year, the Russian ship 50 Years of Victory smashes through pack ice, carving shipping lanes through the frozen outer reaches of the Barents Sea. But for a short window during the perpetual daylight of Arctic summer, she transforms into an unofficial 'Polar Express'. The 140-strong crew of the nuclear icebreaker double up in their cabins, making room for 120-or-so lucky tourists to travel to the ultimate destination: the North Pole. 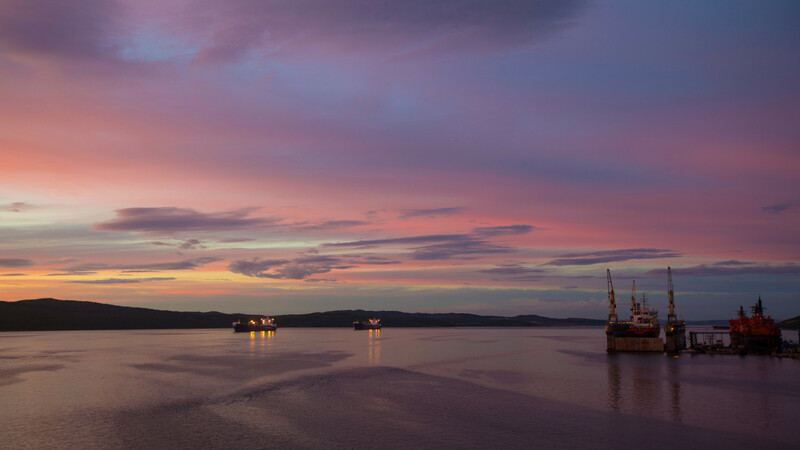 This extraordinary voyage - masterminded by adventure travel company Quark Expeditions - sees passengers, scientists and environmentalists rub shoulders with naval officers and armed arctic rangers, en route to the elusive 90 Degrees North. And this time, I was lucky enough to be among them. Leaving the Arctic port of Murmansk, we powered up past the remote archipelago of Franz Josef Land (where polar bears outnumber humans) before cracking through six-foot pack ice on our final push to the Pole. Life aboard the icebreaker was remarkably comfortable, particularly considering it's a working naval vessel. The cabins were cosy and there was even a gym, sauna, small swimming pool and helicopter for sightseeing. The Pole itself – which we achieve shortly before midnight on the sixth day – was obviously the highlight of the trip. But what had attracted the ship's diverse international assemblage to the magnetic north in the first place? We asked a selection of them to tell us. 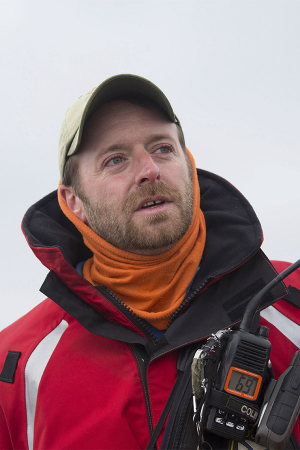 "My goal was to get to both Poles as a tourist this year – and now I've done it. I was most excited to see the polar bears, and they were amazing, but the walruses were incredible too; just these absolutely enormous beasts, swimming so close to us, completely unafraid. 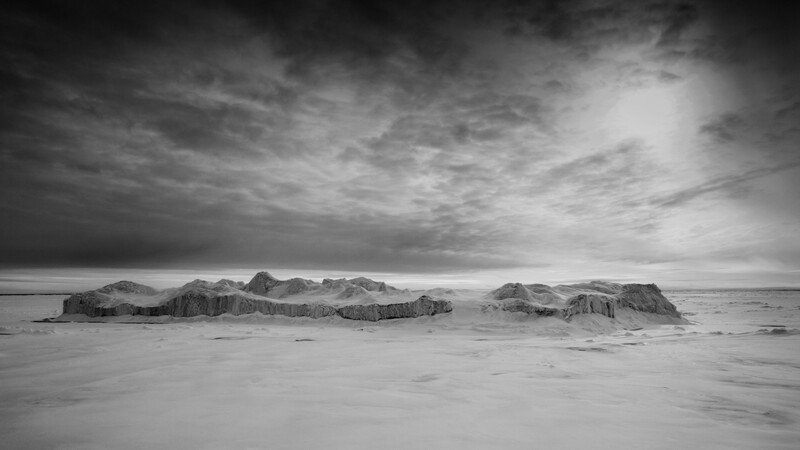 "The North Pole itself, the summit of the world, is a profound place. It's a place for soul searching. And it's so different to the South Pole. That's high up a mountain in Antarctica, whereas the North Pole is just this lonely, invisible point atop a frozen ocean. When we got there, people were cheering, dancing and toasting each other, but I took the opportunity to step away, to soak it all in and appreciate just how incredible it all was. I've been to almost every country in the world – only Pakistan and Libya to go now – and this was easily the most incredible, exhilarating and humbling place I've ever been." "Ever since they discovered the Earth was round, people have obsessed over the North Pole. It is a unique point where there is no time and only one direction: south. 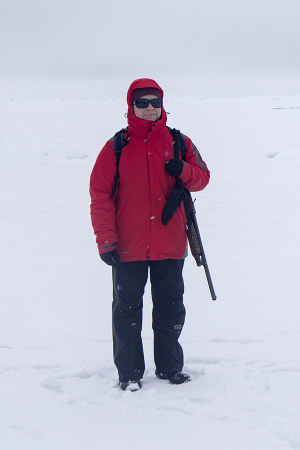 "I've been working up here for 30 years, but whenever I look out over this magnificent white scenery, whenever I spot a polar bear or a humpback whale, I feel the same powerful emotions as the first time I came here as a young man. It's an extremely special, magical place. "For me, bringing people from so many nations to this one important point, where all the lines of longitude meet, is immensely symbolic. We're all human beings and we're all fundamentally equal. At the North Pole, borders are irrelevant." "On this ship you'll hear plenty of different reasons for travelling to the North Pole, but one of the most common is a passion for Arctic wildlife – and in particular polar bears. "I'm worried but hopeful for the future of the species. 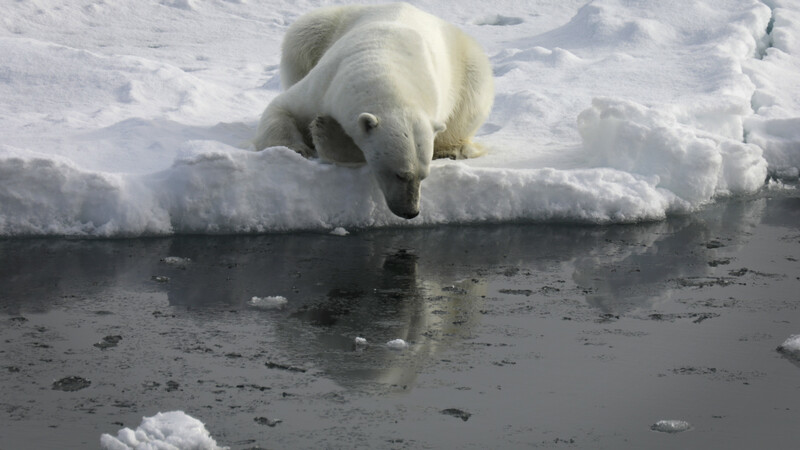 The animals we've sighted on this trip have been in excellent condition, but as climate change continues and sea ice retreats, there'll be fewer polar bears in fewer places. That makes them more vulnerable as a species. "What's extraordinary is not all of the ice that we saw on route to the North Pole, but all of the ice that we didn't. The youngness of the sea ice, the thinness of it, is terrifying. To see open water at such high latitudes is actually stunning. "If we do nothing on climate change, it's very likely that the polar north as we know it today will be so drastically different soon that we won't be worried about polar bears any more; we'll be worried about ourselves." "Our job is to protect people from bears – and bears from people – during our landings on the ice. Together, we form an armed perimeter during every excursion. 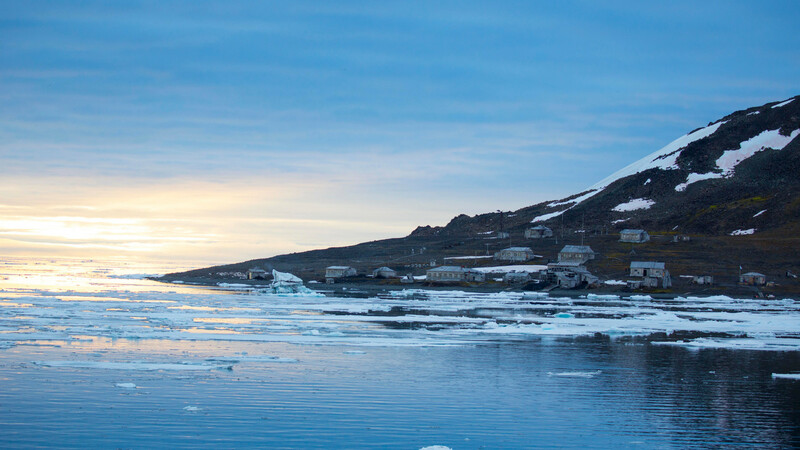 "I love to travel and this is the ultimate journey because of the astonishingly beautiful nature up here, particularly around Franz Josef Land. It's incredibly attractive to see the frozen world without any people for hundreds and thousands of miles. "I love the snow and ice, but I really love the wildlife. In particular I love narwhals – the unicorns of the sea. I've seen them twice and it made me so happy. They're very rare and they're my absolute favourite." "Most of the passengers are focussed on the North Pole itself. They want to stand at the top of the world. That's certainly an achievement, but for me it's more about the wildlife and the beauty of the whole region, not just one particular geographic point." "Believe it or not my grandparents once made this trip, and they talked about it often while I was growing up. They recently passed away, so my mum and I thought that it would be a great legacy idea to travel here in their footsteps. "To be honest, I've just been blown away by the expansiveness and the vast nothingness of the landscape up here. It's so raw; so remote; so unique. And that's a big part of its appeal: travelling to a place that so few other people have seen. "I've really enjoyed meeting our fellow passengers too. There's a fascinating, eccentric quality to those who've chosen to travel here, almost a callback to more traditional explorer types. "Climate change really adds urgency to trips like this. My grandparents came here and now I've followed them. It would be such a shame if my grandchildren didn't have the same opportunity." 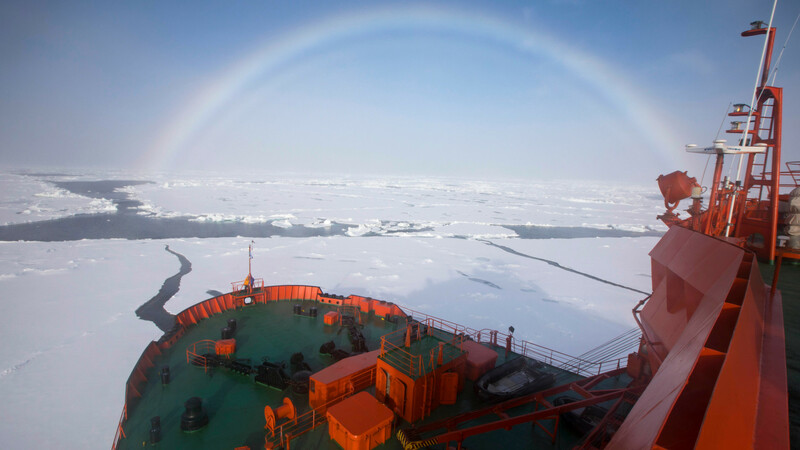 "One of the things I love about this trip is the simple pleasure of travelling aboard a Russian icebreaker. I grew up in the latter stages of the Cold War and this kind of journey was so inaccessible as to be unthinkable. But here we are, smashing through the Arctic ice aboard a working, nuclear-powered Russian ship. How crazy is that. Russian language and Russian culture are everywhere, and I find that fascinating too. That for me is almost as exciting as the extraordinary landscape around us. "The world is becoming a much smaller place, but the high Arctic reminds us in a physical way just how big our planet really is. I find this huge, harsh, untouched environment both beautiful and inspiring. Away from the ship, the silence and solitude on the sea ice is truly soulful. 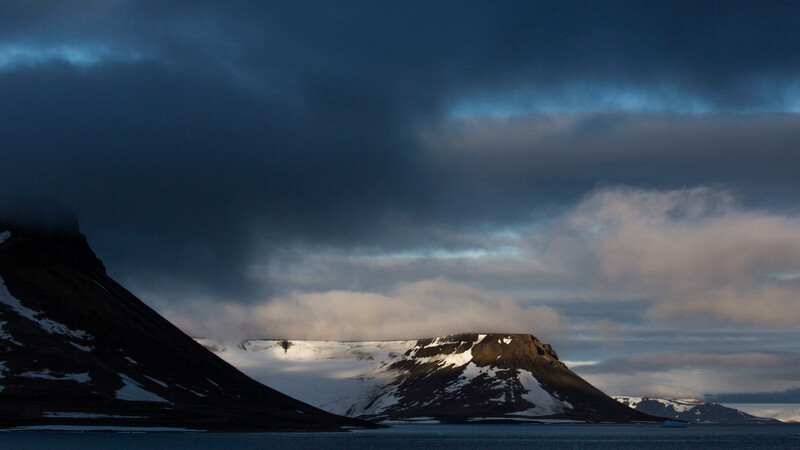 "There's definitely something addictive about travelling to the remote Arctic. It feels as close as you can get to being on another planet while remaining on Earth. By the 2050s, it's entirely plausible that the North Pole will be entirely ice-free during the summer months and that otherworldliness could be completely gone. That would be an absolute tragedy."